Is it time to eat but you didn't have enough time to prepare your meal? Menulog is here to help you out! This report looks at the history of the online food delivery industry, future trends and how technology, including mobile apps and online ordering technology, has expanded and will continue to grow our ‘app-etite’ for new food experiences. 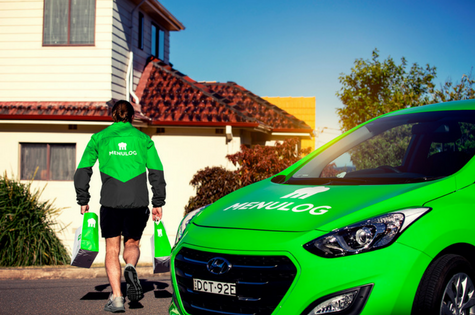 It drills down to state and suburb level data, from the unrivalled authority in Australian food delivery, Menulog. The report demonstrates Saturday nights have become equally as popular as Friday nights for online food delivery, as Australians embrace spending more time in their homes, with the likes of on-demand entertainment and food services available at their fingertips. In fact, more than 300 orders are processed every minute on the Menulog platform between 6pm and 7pm on Friday and Saturday nights. The total food delivery and pick-up market in Australia is growing at eight times that of the total foodservice industry. This represents a $3.5 billion opportunity for Australian businesses.¹ Data shows more than six million Australians made online food orders from January 2017 - January 2018.² In the same year, Menulog Group drove more than $645 million of gross sales for its restaurant partners and delivered over 15 million meals to customers. The Group also added more than 2,600 additional restaurants to the service, which in turn saw the number of active Menulog customers rise. The report is the first in a biennial series that examines the company’s wealth of data and insights, as Australia’s foremost authority in the online food industry. Menulog is Australia’s largest online food ordering and delivery service, operating for more than 12 years. It connects more than three million active customers with over 10,200 local restaurants via menulog.com.au and mobile app. Menulog offers 130 different cuisines that can be delivered to more than 90 percent of Australians at the touch of a button. Menulog is part of the Just Eat group, global leader in food delivery.